The first Irish rural digital hub, the Ludgate Digital Hub in Skibbereen in Co Cork, is to grant seed funding to online education startup, Digedu. The €45,000 investment will see Digedu relocate from its base in Dublin to the West Cork town. The announcment was made as part of National Digital Week, which runs from November 10-12. Ludgate Digital Hub recently announced a €450,000 investment package, the Ludgate Seed Capital Fund, to help startups develop and scale their business, attract new talent or develop their product or service. Digedu is an online provider of courses aimed at teaching skills for the digital age to a global audience. The company is the brainchild of Bryan Hurley, a Dublin-based technology graduate from Waterford. He will now relocate to Skibbereen to establish his business at the 10,000 square foot Ludgate Hub, which has one gigabit connectivity, through SIRO’s fibre optic broadband. The company aims to employ ten people within the next three years. Bryan Hurley said the investment in his business at this early stage gives it the platform to develop and grow at a much quicker and efficient pace than otherwise might have been possible. 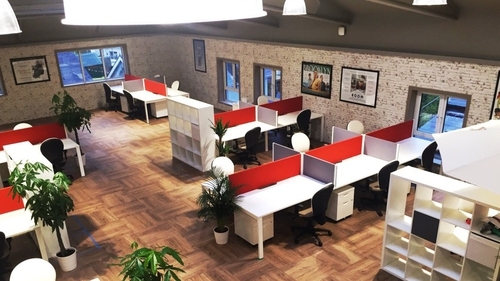 "Skibbereen's Ludgate Digital Hub provides us with everything we need from high speed connectivity to mentorship in an exciting startup environment and is a unique opportunity for a small tech company to participate in a truly unique and inspiring initiative," he added. The Ludgate Digital Hub officially opened in July this year. It is a not-for-profit initiative, which aims to create an entrepreneurial ecosystem in the Skibbereen and West Cork region. The hub is expected to attract 75 jobs in the first phase of its development, with the capacity to create 500 jobs and 1,000 indirect jobs. It estimates this will generate about €34m in GDP for the region over five years.